district which is organized for the first time. The six days Mela is being organized to promote the cultural heritage of Kumaon region. 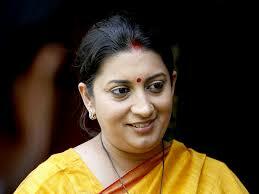 During her short visit, the minister will unveil upcoming FM projects of AIR for Champawat and Almora District. The transmitter of one and five-kilowatt watt will be set up in these two regions. Prior to this, she will also participate in Vasntotsav Mela in Pithoragarh district which is organized for the first time. The six days Mela is being organized to promote the cultural heritage of Kumaon region.